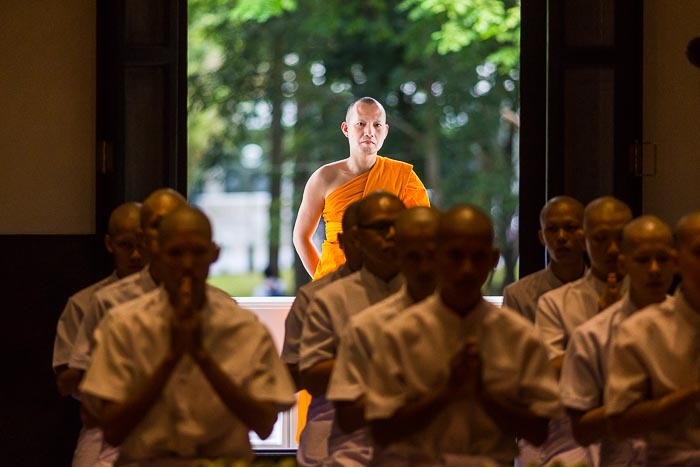 A monk watches from a doorway as men are ordained as monks and novices at Wat Phra Dhammakaya. I photographed an ordination this morning. 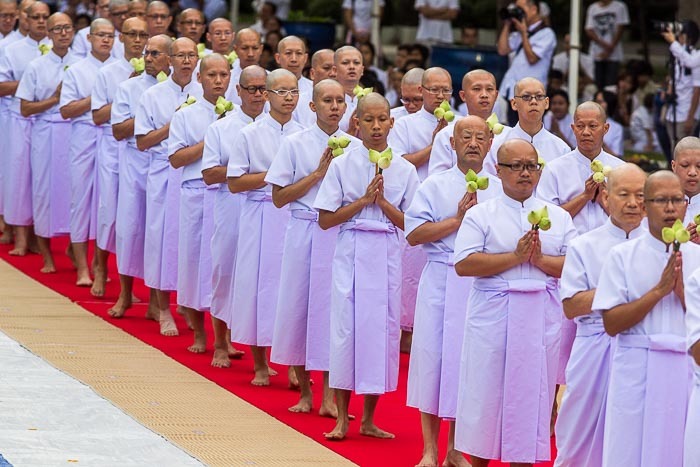 Seventy-seven men, from 18 countries, were ordained at Buddhist monks and novices at Wat Phra Dhammakaya, in Pathum Thani, about an hour north of Bangkok. Ordination in Buddhism is different from ordination in a Christian faith. In Theravada Buddhism, becoming a monk and joining the Sangha is a right of passage. Many men enter the sangha to meditate and find inner peace. Joining the Sangha can be a lifelong commitment but many men become monks for just a few weeks or months. 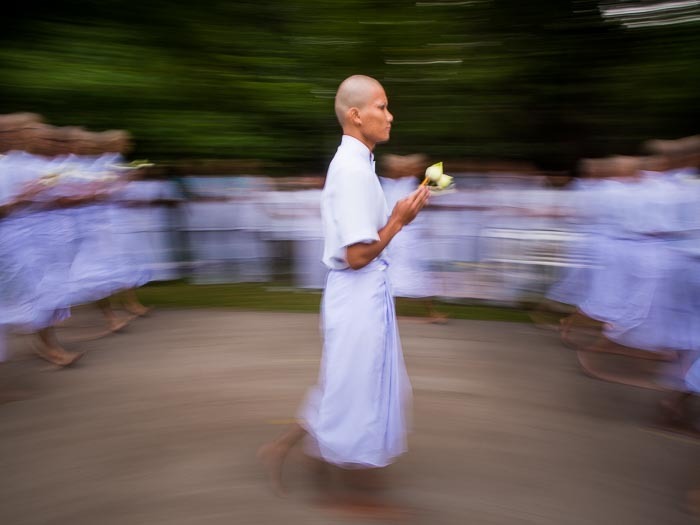 A man being ordained as a novice (young monk) participates in a procession around the ordination hall. Thai Buddhists are very tolerant of other faiths and welcome people of any religion into their temples. You don't have to be Buddhist to study meditation in a Thai temple (though it helps). Wat Phra Dhammakaya, seat of the Dhammakaya sect, though takes that tolerance to a very high level. Today's ordination ceremony was conducted in three languages: Thai, English and Chinese. The Dhammakaya sect has a very active outreach program and seems almost evangelical compared to traditional Thai Theravada Buddhism. Men being ordained file into the "ubosot," or ordination hall. There are more photos from the ordination in my archive or available from ZUMA Press.